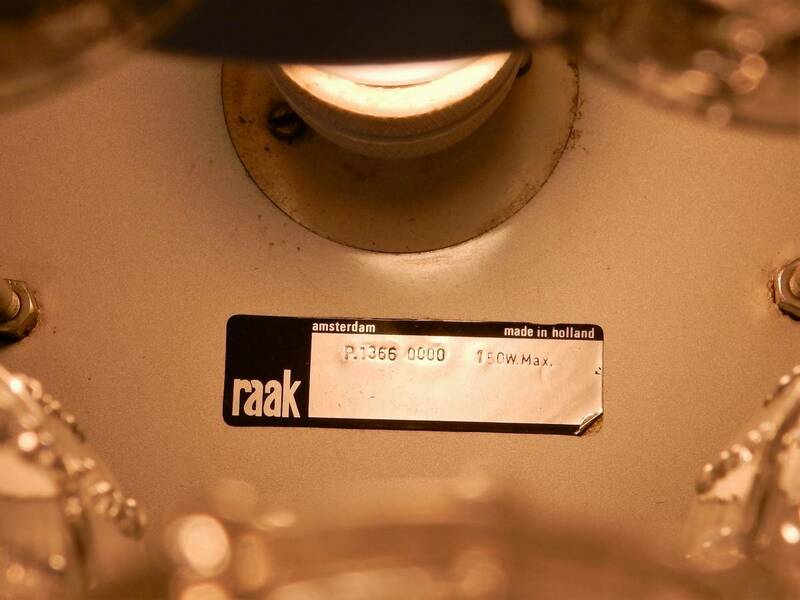 A very impressive flushmount by RAAK Amsterdam. 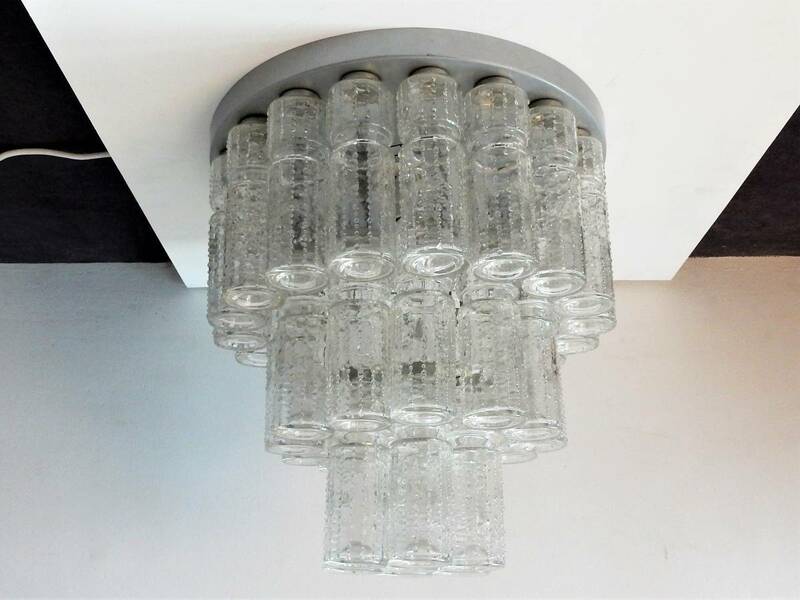 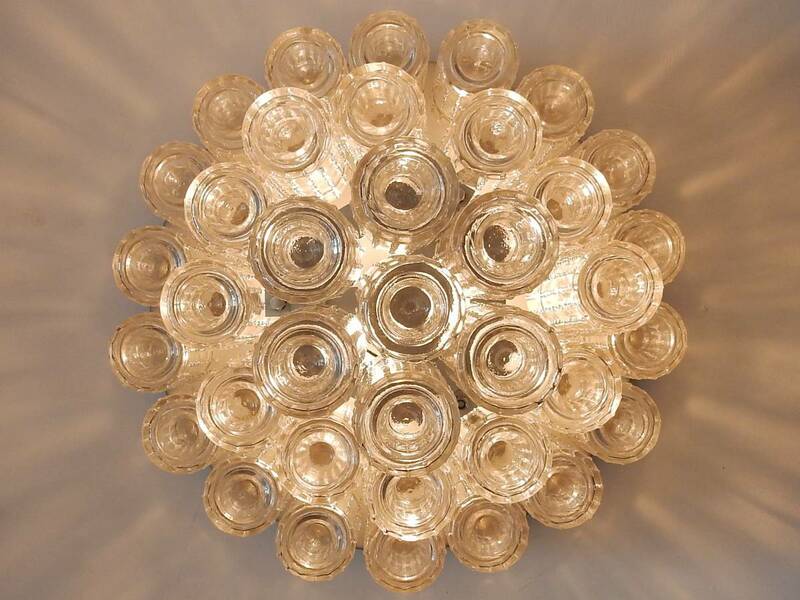 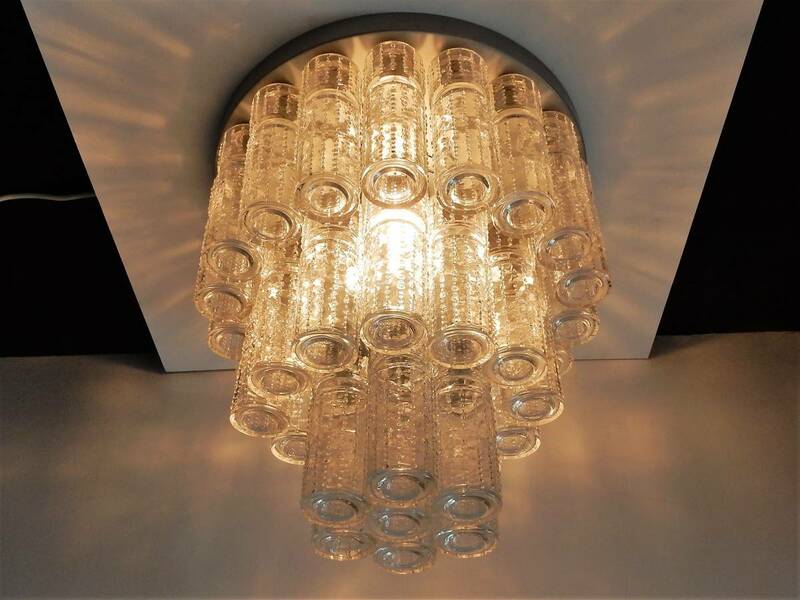 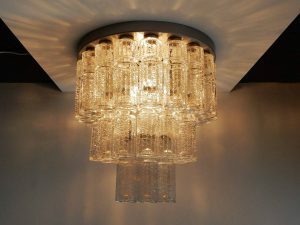 It holds a single bulb that is surrounded by 3 layers with a total of 37 glass tubes. 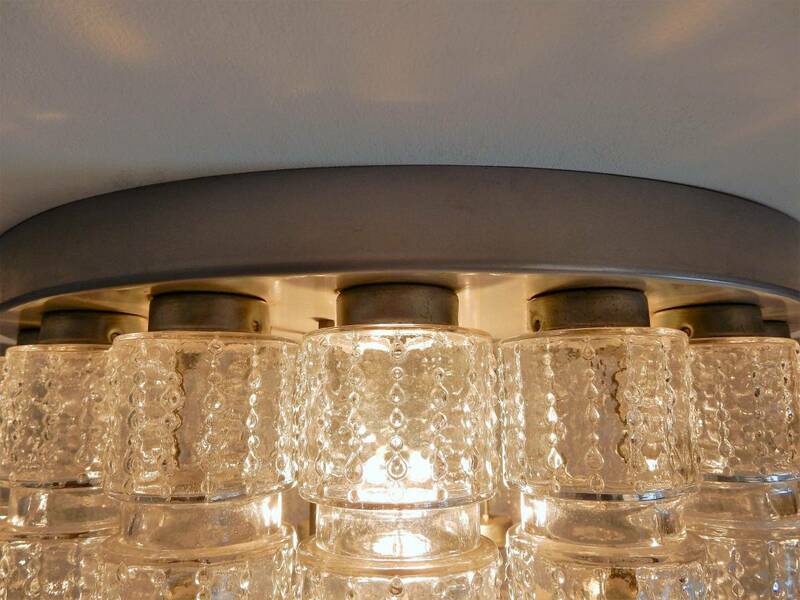 The choice of bulb makes a great deal of te light. 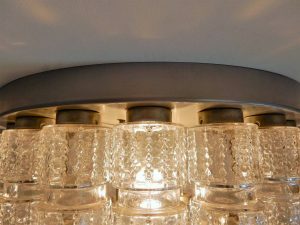 Bright bulb, bright light, warm bulb, warm light. The fixture and tubes are is in a very good condition and the lamp is labelled on the ceiling fixture. 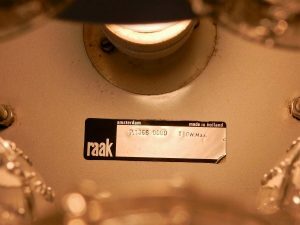 Documented in the Raak catalogue.